Home Arseblog, the arsenal blog Arrivals hall almost full, who is heading for the Arsenal departure lounge? 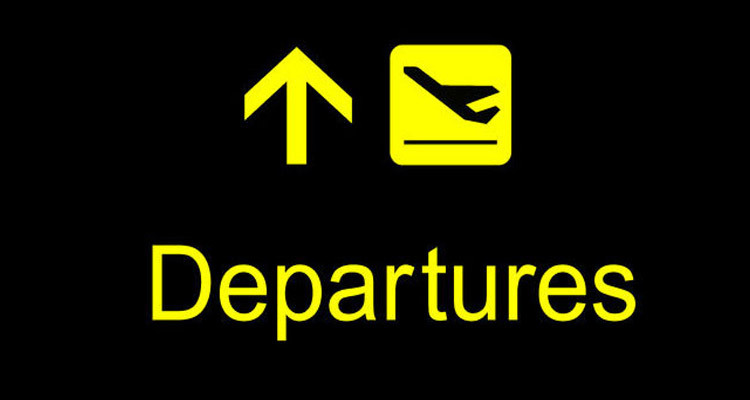 Arrivals hall almost full, who is heading for the Arsenal departure lounge? Two medicals apparently took place at Arsenal yesterday, but there were no announcements so we still wait for the signings of midfielders Lucas Torreira and Matteo Guendouzi to be made official. To be fair, we had the exciting news that our record goalkeeping signing, Bernd Leno, would wear 19 next season, so they didn’t want to overstimulate us. Speaking of the German, James and I had a little discussion about him and Petr Cech on the Arsecast Extra yesterday. The question was: who would start our opening game against Man City in August? James plumped for the experience of Cech, whereas I reckon you don’t pay £22.5m for a goalkeeper – making him the 5th or 6th most expensive keeper of all time – to make him play second fiddle. Time and pre-season might give us a better idea, and although I can follow the logic of playing Cech, if this is a brand new era then it makes sense to give the new players their chance from the start. If you look at our squad list now on the official website, and bear in mind that Torreira and Guendouzi have also got to be added to it, that’d make 32 ‘senior’ players for a 25 man Premier League squad. In fairness, players like Emi Martinez, Carl Jenkinson, Chuba Akpom, and Joel Campbell should be on the move. They’re basically fringe players in this current set-up who really need to go elsewhere at this point in their careers. Martinez, for example, has looked a decent prospect for years now, but when you’re approaching 26 years of age and you’ve barely played 50 first team games, you’ve got to ask what exactly it is you want from football. There’s got to be a side out there for whom he could play regularly if he was willing to make the move. It also creates space for one of our younger keepers to stake a claim, making the assumption that David Ospina will also be moved on. One of Cech or the Colombian has to go, the squad’s too heavy with both of them plus Leno, and considering they handed the former the number 1 shirt earlier in the summer, I think it’s inevitable that it’s Ospina. We might get a few quid for him, more or less what we paid for him – around £4m – depending on his destination. There’s room for a central defender to go too: the question is will it be a loan move for one of the younger players, or a sale of someone more senior. It would make sense for Konstantinos Mavropanos to go somewhere and get games, but much will depend on how Unai Emery views his readiness and potential. If he’s not quite ‘Premier League’ for us, staying put and playing his way to that level via the Europa League and cup competitions might be the better option. There’s speculation around Shkodran Mustafi who had an indifferent campaign last time around. However, he was far from alone in that regard and his age profile – falling almost perfectly between the veteran experience of Sokratis and Koscielny – suggests he’s more likely to be kept. I’m not especially confident that the flaws in his game can be eradicated completely at this stage, but selling could mean reinvestment in defence rather than just a departure. I think midfield is more or less set – bearing in mind the Ramsey situation has to be sorted one way or the other sooner rather than later – and there’s a similar issue involving Danny Welbeck. Like the Welshman he’s got less than 12 months left on his current deal, and at 27, having sat on a bench throughout most of a World Cup, will he be willing to do the same at Arsenal behind Pierre-Emerick Aubameyang and Alexandre Lacazette? He can play wide, of course, but is that what he wants at this point in his career? It’s a situation complicated by his involvement with England in Russia, meaning he’ll be arriving back late, and not that long before the close of the transfer window. Arsenal also have to have a think: as a club are we willing to give Welbeck another three or four years, or do we cash in now, take some money, and look to reinvest in the squad or make space for someone like Reiss Nelson or even Eddie Nketiah? Remember, there is the safety net provided by Lucas Perez who adds depth and experience even if we do move Welbeck on. The Spaniard is back from a season long loan with Deportivo la Coruna, and as a third choice striker and occasional option from the bench for the front three, seems like a perfectly decent player to have in the squad. The other thing to consider though is the homegrown rule, and we’re skirting very close to the edges of that already, so Welbeck’s contribution to that might well have an impact. Anyway, I do think we’re heading towards the second part of our summer work. The recruitment looks, more or less, as if it’s done, so now we’re heading into the departure lounge. Remember though, although there’s a truncated transfer window for Premier League clubs, that’s not applicable throughout Europe, so we can still lose players right up until those more traditional deadlines at the end of August. Which should make for some fun, eh? Right, that’s it. If you haven’t listened to the podcast yet, check it out here, and we’ll have all the news over on Arseblog News throughout the day. Next articleLucas Torreira analysis: What will he bring to the Arsenal midfield?